I love the Holidays and this side is one of my all time favorites. It has always been a popular dish in my family. 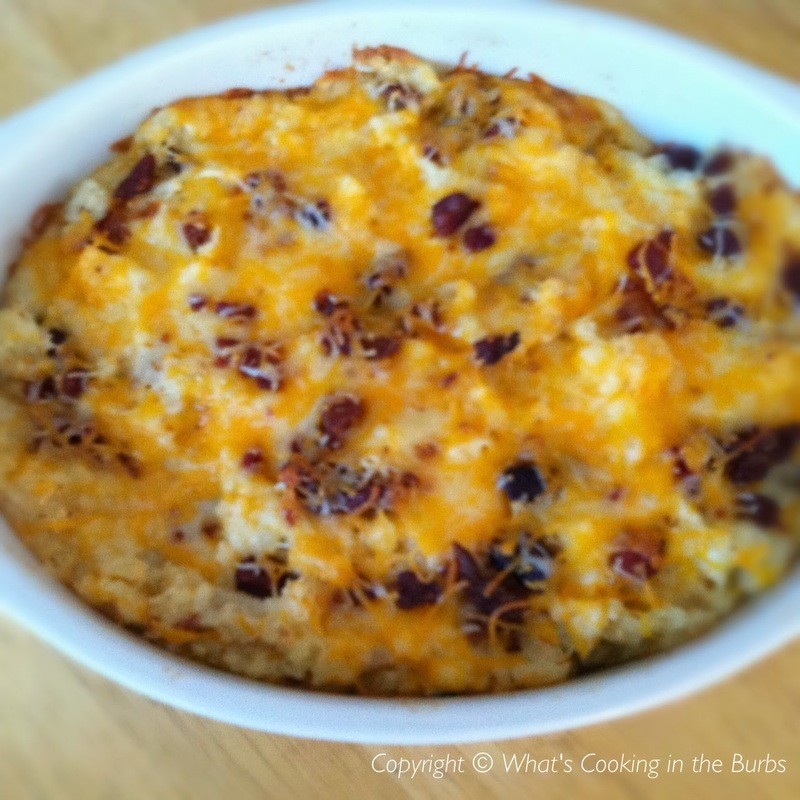 If you are looking for last minute side ideas be sure to check out this recipe. Remove baked potatoes from oven. Scoop potatoes out of the shell and put into a large bowl. Mash with a potato masher. Mix in the milk, butter, cream cheese, sour cream, salt and pepper. Transfer potatoes to a greased 2 quart baking dish and sprinkle with (1 cup) of the cheese and then bacon. Sprinkle with remaining 1 cup cheese. Bake, uncovered at 350 for 20-25 minutes or until cheese is melted. Top with Chives if desired. Enjoy! oh yummmy! love this recipe, a must make! !